Posted on September 14, 2018 | 793 views | Topic : Best@, Best@Shah Alam, Featured Dev, News & Articles, Property News, Special Focus. NESTLED within the well-established neighbourhood of Kota Kemuning, lies the 18-hole Bukit Kemuning Golf and Country Resort developed by Amverton Bhd. The golf course is one of the earliest developments in the area, with its first tee-off in 1993. Amverton Bhd is one of the pioneer developers in Kota Kemuning who started their first project in the early 90s. The group’s managing director Datuk Milton Ng recalls the location of Kota Kemuning as previously being a palm oil estate with no access route during the construction of the golf course. After 25 years since its first debut in Kota Kemuning, the company has completed thousands of homes in Kota Kemuning, including the townships of Kemuning Greenhills and Kemuning Greenville. In 2006, the developer launched Amverton Park – a bungalow project situated next to Kota Kemuning Golf and Country Resort, the first development under the Amverton brand. “Incorporated in 1978 by our founder Tan Sri Ng Thian Hock, the company was formerly known as A&M Realty Bhd,” said Ng, adding that the company went through a rebranding exercise last year and is currently known as Amverton Bhd. Currently, Amverton Bhd covers a variety of housing products, including residential, commercial, leisure and hospitality. The exposure in different market segments has added value to its buyers. “Buyers are part of the Amverton family, and we hope they can enjoy the resort and leisure facilities under our portfolio,” said Ng. For example, the bungalow owners in Amverton Park are entitled to a free golf course membership. 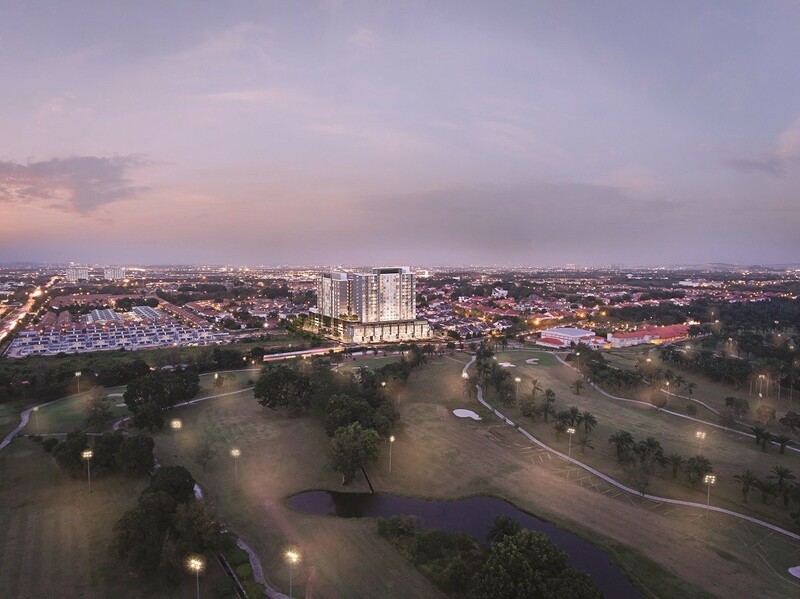 Amverton’s latest offering in Kota Kemuning is Amverton Greens, a freehold low-density condominium facing the Kota Kemuning Golf and Country Resort. Residents can enjoy the quiet and tranquil resort living from the comforts of their own home. 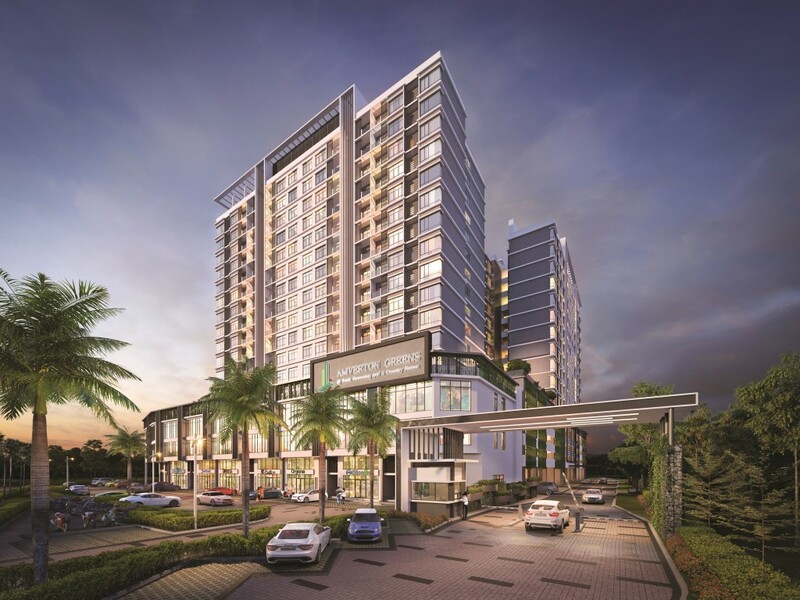 This four acres condo development comprises 280 units with built-up sizes ranging from 953 to 1,528 sq ft; the starting price for a three-bedroom and two-bathroom unit is RM490,000 or RM510 per sq ft.
“Our founder has good foresight in land bank strategy, accumulating a considerable size of land at reasonable prices back in the old days, which became one of Amverton’s strength at providing quality products in lower-density areas at reasonable prices,” said Ng. The company believes that eco-living can only be achieved in a low-density environment. Leveraging the low land cost, Ng added that it gives the flexibility to create low-density products with lifestyle features for customers. “Also, we have more time to plan for developments with distinctive features,” said Ng, adding that they are not in a rush to chase for revenue, but are emphasising on maintaining a healthy margin. Amverton Greens is targeted at young families and upgraders in Shah Alam seeking for a new environment that emphasis on security and facilities. According to Ng, most of Kota Kemuning’s buyers intend on staying. “This is the market we are looking for, a sustainable owner-occupied community,” he said. Situated next to Amverton Greens, the company still owns eight acres of undeveloped parcel which will be used for future development. For more stories on Shah Alam, visit best.starproperty.my/shah-alam or register at bit.ly/BEST_ShahAlam to get the full complimentary e-copy!